After the calculation with the keywords, you will get 'System.Name.pden.cube' which can be used for the STM simulation within the Tersoff-Hamman approximation. 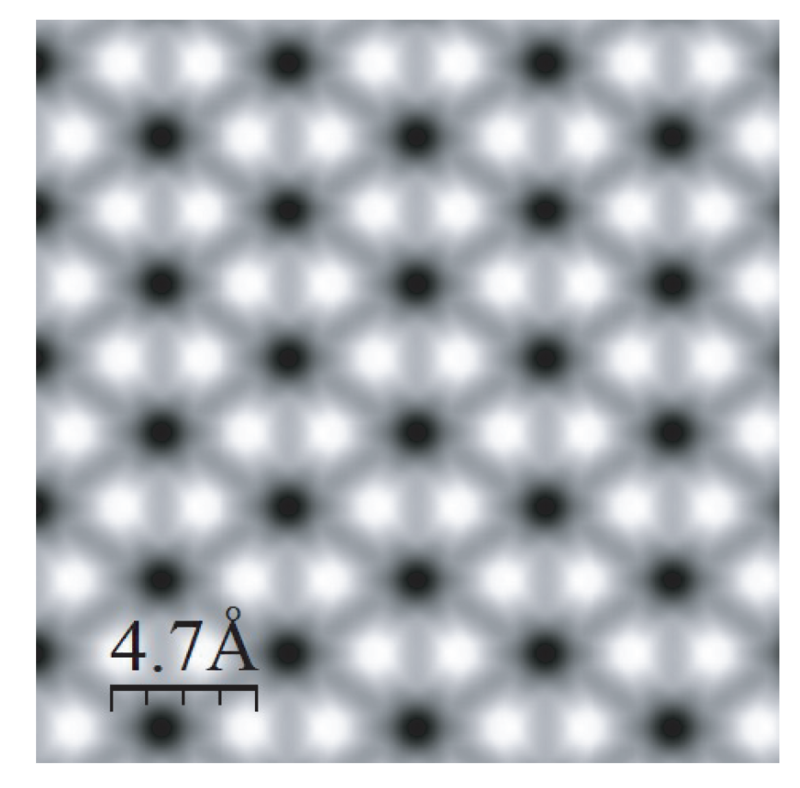 As an example, a simulated STM image of a graphene layer is shown in Fig. 48. Figure 48: Simulated STM image of a graphene layer, where 'partial.charge.energy.window' of 2 eV was used in the calculation, and the input file is 'Graphene_STM.dat' in the directory 'work'. The cube file 'Graphene_STM.pden.cube' was visualized with an isovalue of 0.0001 by a software WSxM .